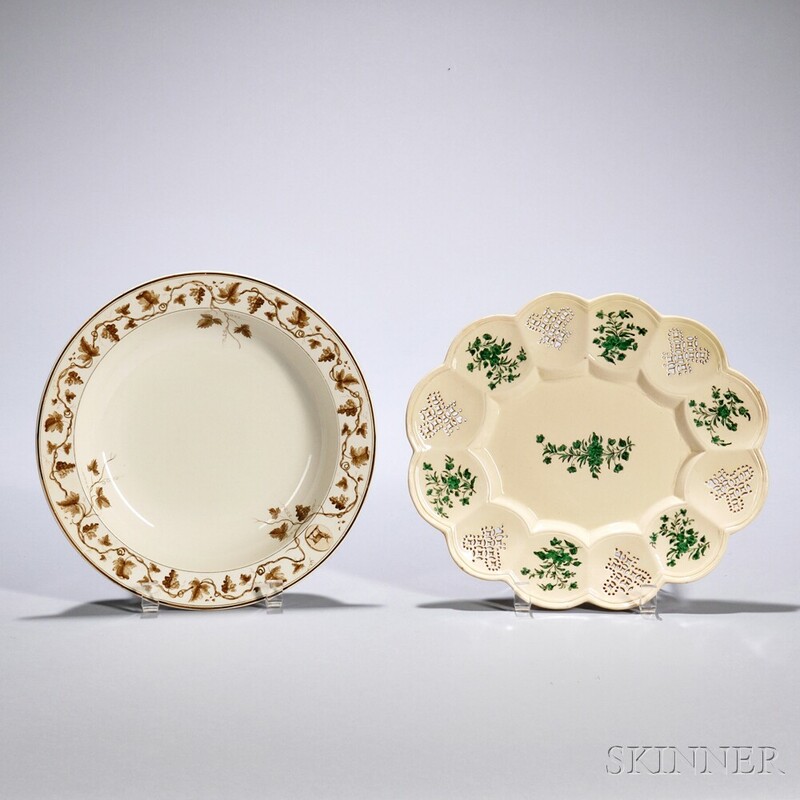 Two Creamware Dishes, England, late 18th century, a possibly Derbyshire or Yorkshire oval shape with lobed border of pierced panels alternating with green glazed black transfers of floral sprays, all surrounding a similar floral spray to center, lg. 10 7/8; with an impressed Wedgwood soup plate with flat rim and sepia-tone fruiting grapevines surrounding an oval cameo bearing the armorial crest of Lord William Russell, dia. 9 7/8 in. Provenance: Oval dish ex collection Donald C. Towner; Wedgwood dish ex collection of Sir Ralph Wedgwood, Sir John Wedgwood. Literature: Oval dish with similar illustrated in Creamware, by Towner, color plate D.
Oval dish: Slight glaze nicks to rim; extensive hairline along inner rim. 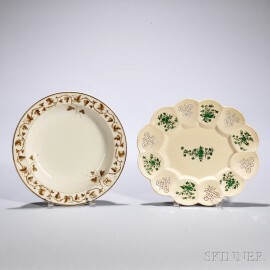 Wedgwood plate: Very light and even usage wear.